Buildhub NSW Pty Ltd in an interview with Judy Small Digital confirmed the launch of their new website to showcase the array of building and construction services they provide. Buildhub NSW is one of Sydney’s recognized experts in excavation, demolition and construction services Sydney building developers know they can rely on. They are specialists in all construction areas such as commercial strip outs, concrete placement through to high quality finishing work. For over fifteen years, the team at Buildhub NSW have been providing professional construction and civil services in Sydney. The primary focus is on commercial building services but the expertise and scope of work covers not only this but demolition work, high rise building work, fitouts, through to strip outs and development work. Sydney based Vega Capital, in a recent communique to clients, confirmed that US President Trump’s tariffs represent a risk to their economy. Over 2018, U.S. President Donald Trump has progressively implemented tariffs on Chinese exports to the United Sates. As of the 23rd of August, this is expected to comprise tariffs on goods totalling $50b of Chinese exports. The tariffs are a result of the President demanding that China cut its trade deficit with the U.S. by $200 billion by 2020 or else face trade repercussions. However, this policy is unlikely to achieve its objectives. The trade deficit between the United States and China is a structural phenomenon driven by the latter’s high rate of saving and the U.S.’ ability to absorb savings as investment capital. China sends much of its savings to the U.S. as investment capital as does many other nations.Simply put, for the U.S. which runs a capital surplus (i.e. importing more savings than it exports) it must by default run a current account deficit (i.e. spend more than it produces). This is because those foreign savings are invested into businesses which spend the money on equipment, labour and other commercial expenses (i.e. driving spending above production). U.S. President Trump is expected to place new tariffs on an additional $200b of Chinese exports to the U.S. after a public review over the coming months. President Trump has also authorised an increase on Turkish aluminium and steel tariffs to 20 percent and 50 percent respectively. Sydney Digital Currency Exchange (SDCE)- has launched a global cryptocurrency platform on Wednesday 18th July at the Royal Exchange Centre in Sydney CBD as the market leader for Cryptocurrency trading, having more choices and being most friendly. Receiving such tremendous support from the cryptocurrency trading community and traditional trading markets. Sydney Digital Currency Exchange (SDCE) platform has the highest integrity allowing the users to feel secure within one platform, giving more opportunities to traders at one the lowest competitive fees. Issuers of coins and tokens, especially new ICOs, that want access to the most largest trading database globally will be in favour of the superior commercial terms to support their business growth which a strong vision of SDCE to support blockchain technology and to be the leading exchange for startups. With more interest from Australian SMSF and SME investing in cryptocurrency as an alternative investment strategy, SDCE has the facility to support the setup for such entities. SDCE is committed to ongoing support and training for its traders and affiliates with a range of courses and certifications in the technical analysis, trading and cryptocurrency. These courses will set to launch over the coming months in partnership with the Australian Institute of Blockchain providing both online and offline delivery methods. For further information visit www.sdce.com.au to learn more about the trading platform and affiliation programs. Smile Concepts All On 4 Implants procedures utilise only 4 implants, whereas traditional implants utilise anywhere from 5 to 8 implants in one arch. Because the implants at the back of the All Teeth On 4 Implants procedure are placed at an angle, it allows for increased support by using the natural support of your bone. Smile Concepts are one of the most trusted dental practices in Sydney with expertise in all areas of dental implants, veneer and general dentistry. They strongly believe in their patients having a beautiful smile & natural teeth for life. Sydney TMS (Transcranial Magnetic Stimulation) confirmed it has opened its new treatment clinic in Bondi in Sydney’s Eastern Suburbs and offers treatment to depression sufferers. Transcranial Magnetic Stimulation (TMS) is a non-invasive treatment for depression where other treatments like medication have failed. The treatment uses magnetic fields to generate pulses to the frontal cortex of the brain in an effort to stimulate neurones and improve mood. Patients undergoing TMS therapy do not require hospitalisation or anaesthetic and are fully awake during treatment sessions. Approximately 30 sessions are required during a treatment course with each session taking approximately 45 minutes. Sydney TMS is a specialist treatment centre offering transcranial magnetic stimulation to people with major or chronic depression. Treatment is provided to patients in an outpatient medical clinic. Sydney TMS offers three locations St Leonards, Bondi Junction and Castle Hill all of which are located close to public transport and parking stations. Lamont Law are considered by many to be one of the best criminal law firms. Its experienced team of criminal lawyers regularly appear in Local and District Courts across Sydney, have lawyers in Newcastle, Lismore and the Central Coast. They have recently opened offices with experienced lawyers in Penrith, Liverpool, Campbelltown, Blacktown, Tweed Heads, Lismore, and Newcastle. 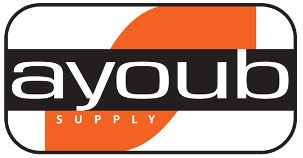 Sydney based Ayoub Supply is pleased to announce the launch of their new website showcasing the comprehensive range of foodservice equipment and hospitality supplies they offer. Ayoub Supply have seen the need to stay at the leading edge of technology to keep in touch with their clients and to communicate the array of products they offer as well as special promotions to their website visitors. The company has been operation for over 34 years in Sydney and is totally committed to meet client needs both in the services they offer and technology they use. They are pleased with feedback already received on how great the ‘user experience’ is, from existing and new customers recently visiting the site while it was being beta tested. The new website design is mobile friendly to meet Google’s strict requirements, is robust for ease of customers accessing and buying on line via all mobile and tablet devices. To view the new website and more information about Ayoub Supply, please visit the website. Ayoub Supply has been in existence since 1983 when its founder, Jamal Ayash, began selling foodservice supplies to restaurants, cafes, hotels, bars, clubs & pubs in Sydney. Ayoub Supply offers foodservice operators an unparalleled level of service by combining the hands-on support and local market knowledge of a strong regional supplier with the purchasing strength, industry expertise, delivery and installation capabilities of a national company. They work closely with our customers and suppliers; which include national restaurant chains, independent restaurant operators, healthcare facilities, entertainment venues, and many other segments; to provide the products and services that will help them operate more efficiently and realise better bottom line results. The Ayoub Supply organisation was formed from the consolidation of many leading foodservice equipment, supply and design personnel into a single company. Though the Ayoub Supply name has been in use since 1983, the people behind the name are among the most experienced in the industry. This experience, combined with their strategic areas of specialisation, position Ayoub Supply to provide food service operators with solutions to their most complex requirements. For several decades, the explosion of life and workplace coaching has occurred across the globe. With this, there has been a demand created for the training of coaches. In response to this, International Coach Federation (IFC), a peak industry body that accredits executive coaches was established. To learn more about Crystallize Consulting and their evidence based coaching, visit their website. Sydney based family lawyer, Mr Hayder Shkara, believes that the court delays are having an immense impact on those who go through the process. To learn more about Future Stars Early Learning Centres, and childcare in Pymble, visit the website. To learn more about and the details of the tours, visit the website. Sydney Based iSwitch Electrical & Air Conditioning in a communeque to clients strongly encouraged them to upgrade their old switchboards. The Electrician Concord & Sydney based electrical & air conditioning contractor confirmed in an interview today with Anitech Media of the need for home and business owners to not put off the upgrade their old switchboards. The services that iSwitch Electrical & Air Conditioning offer include, 24-hour emergency call outs, switchboard upgrades, air conditioning installations, LED lighting upgrades as well as all commercial & residential electrical and specialist appliance installation. All services are tailored to suit individual client requirements. They have a broad customer base spread across the Sydney metropolitan area and customers range from individual homeowners through to large commercial business owners. The company also works with insurance & construction companies as well as corporate organisations and strata managers. To learn more about Sydney based iSwitch Electrical & Air Conditioning and their switchboard upgrade services, visit their website. iSwitch Electrical & Air Conditioning is a Sydney based company and offers home and business owners a comprehensive range of electrical and air conditioning installation services, switchboard upgrades, 24-hour emergency call outs, LED lighting upgrades, as well as all commercial & residential electrical appliance installation work. All services offered are all tailored for individual client requirements using the most efficient solution, the highest quality of materials and the latest technology available. Sydney based Rubbish Removal Company has just added to their new website a range of rubbish removal services that are now available to Redfern and Alexandria home and business owners. Rubbish Removal Services are experts at cost effective methods of disposing of home, office, commercial or industrial premise, factory and warehouse rubbish. The company prides itself on personal service and customer care. It operates across Sydney and its outlying metropolitin suburbs. They do hand loading onto the truck to remove rubbish for Commercial businesses and for homeowners alike. The company said that customers are all making a greater effort to reduce waste and are turning more to recycling options. The City Of Sydney website has dedicated pages on recycling as well as information on the safe disposal of e-waste and chemicals. The management of Rubbish Removal Services is also committed to the values shown by The City Of Sydney’s leadership. It has for many years been working on all aspects and methods of increasing the recycling component of the rubbish collection processing they do. The company has worked hard to keep pace with the increasing volumes of solid waste needing to be recycled, while offering great pricing in a highly competitive industry. The many years experience in doing this as part of their business has allowed them to achieve this. Rubbish Removal Services is one of only a few in Sydney that are a full service rubbish removal company. It disposes of any type of rubbish ranging from home, office, commercial premises, industrial operations and warehouses. The company prides itself on personal service and customer care. It specialises in offering hand loading services across Sydney and its outlying suburbs. In an interview with The City Weekly, PJN Plumbing confirmed the rising trend of flushable wipes causing sewer blockages and other plumbing related issues. The company has over ten years’ experience at offering these services to Sydney residential and business owners. They are a plumber in Concord but have helped clients across Central Sydney, the Eastern Suburbs, North Sydney as well as the Western Suburb regions. PJN Plumbing have always been at the forefront of offering ‘best in class’ plumbing solutions for their clients across Sydney. The selection of unique & advanced tools and technologies they use, as well as their knowledge around all different types of plumbing situations allows them to provide quality and affordable services to their clients. Their concern at the rising trend in blocked sewers was communicated in a recent communique to clients to alert them to new fabric wipes being easily caught on older pipe joints and should not be flushed down toilets if they wanted to avoid the risk of their drains being blocked because of this. PJN Plumbingis one of Sydney’s leading providers of plumbing services for residential homes, commercial properties and office buildings. They are experts at Blocked Drains, Emergency Plumbing Services, Hot Water Replacement, as well as Hot Water Services, Burst Water Pipe Repairs, Toilet and Cistern Repairs. They offer high quality services at all times to ensure that clients enjoy 100% customer satisfaction. Australian Immigration Agency (AIA) is a migration agent Brisbane residents true and they have a Immigration Agent Perth residents trust and service all major cities in between. They are experts in Australian migration law and provide professional advice to onshore and offshore applicants and personally assist with both temporary and permanent residency visa applications. CRS is a well established removals company in the Sydney region and in keeping pace with the growth of the company have announced the launch of their new enhanced website. The company has structured the new website as a one stop resource for home and business owners wanting information on moving interstate, tips on packing and an extensive array of other related information, as well as where their pricing, locations covered, terms and conditions can be viewed. The company are Sydney removal experts with over 20 years experience in the industry. They are known for offering real value for money for the work they do and the storage facilities they offer. They service all areas in Sydney. Especially household removals in Sydney CBD, North Shore, Mosman, the Northern Beaches, Manly, Eastern Suburbs right through to the Western Suburbs of Sydney. For more information on the company and their extensive range of Gifts for Women, please visit their website. Breast Excellence who are specialists in Breast Implants Sydney City as well as Melbourne and Brisbane strongly recommends anyone considering a Cosmetic Breast Procedure like Breast Augmentation,to research thoroughly and confirm the following points before consenting to any breast procedure. While all focus and attention is on the world’s professional cycling elite during the Tour de France, Australian Cameron Nicholls is completing an equally impressive solo ride on the other side of the planet. From 18 July to 29 July Cameron will ride the length of New Zealand, from Cape Reinga at the top of the North Island, to Bluff at the very bottom of the South Island, covering 2,417 kilometres in 12 days. Eleven Media discovered Signature Day Spa & Wellness Centre pride themselves in taking ‘something special’ offering to another level for clients. Friday Night has become ‘Date Night’ with a difference. They have put aside this night as a special evening for couples, partners, friends or family to escape from the work environment. Couples are able to relax, rejuvenate and be waited on hand and foot by their team of friendly, professional and highly trained therapists. To learn more about the full range of Sydney’s Signature Day Spa & Wellness Centre’s services, visit the website. Leading Sydney event hire company, The Party Hire Group, also providing wedding chair hire sydney wide confirms the trend is continuing to grow for weddings event planners hiring The Tiffany Chair for guests to sit on at weddings they arrange. To learn more about IP Travel Photography and their upcoming workshops visit the website. Property disputes rely on both parties’ disclosure of their financial situations, both assets and liabilities such as mortgages and credit card debts. As cryptocurrency transactions are so easily kept anonymous, non-disclosure of assets is quite possible and uniquely difficult to prove for family lawyers Sydney wide. Drink Bottle Store have seen the need to keep at the cutting edge of technology, to keep in touch with their clients and communicating special promotions to their website visitors. The Water Bottle Store company operates across all Australian metropolitan area and their surrounding regions. The new website design is mobile friendly to meet Google’s strict requirements, is robust for ease of customers accessing it on all mobile and tablet devices. The The Water Bottle Store company operates online servicing all areas across Australian metropolitan cities and their surrounding regions. It specialises in both plastic and metal water bottles, as well as sports bottles, drink bottles and custom made drink bottles for special use situations. The company also reaches and services locations outside Australia via its presence on the web in those locations. The Gemin3 Air Conditioning is one of Sydney’s leading air conditioning Sydney specialists and focuses on residential installations across Sydney. Alongside these residential services, they offer air conditioning services for commercial and industrial buildings also. The Gemin3 Air Conditioning team provides the supply, delivery and installation and repair of air conditioning installations to Sydney residences and includecustom designed ducted and split ducting air conditioning systems that provides complete climate control solutions for any Sydney home in the demanding year round weather the region experiences. Gemin3 Air Conditioningis a family owned and operated business with the principals having over ten year’s experience doing top level Sydney residential air conditioning installation work. With all work being fully insured, clients are putting their project in good hands. Pricing is also extremely competitive and their expert installers get the job done fast and as expected. They have had a history of being appointed in collaboration with Tony Adams SEO by construction related professionals operating in Australia. These have ranged from building companies to trade related contractors including electricians and plumbers.